Artwork can truly transform a house. For our house, they have completely helped the rooms come together. Because we like to keep the doors open in our home, I like to ensure that each room flows into each other. Therefore, the artwork is a huge part of this. And for me, there’s only one place I really look for artwork these days. You can’t go wrong with Desenio prints. So, for me, Desenio offers a wide range of styles and frames. In other words, they have just about anything you’d want to put on your walls, Desenio has it. Recently I purchased some new artwork for our living room makeover to fix it with the feel of our new interior style. 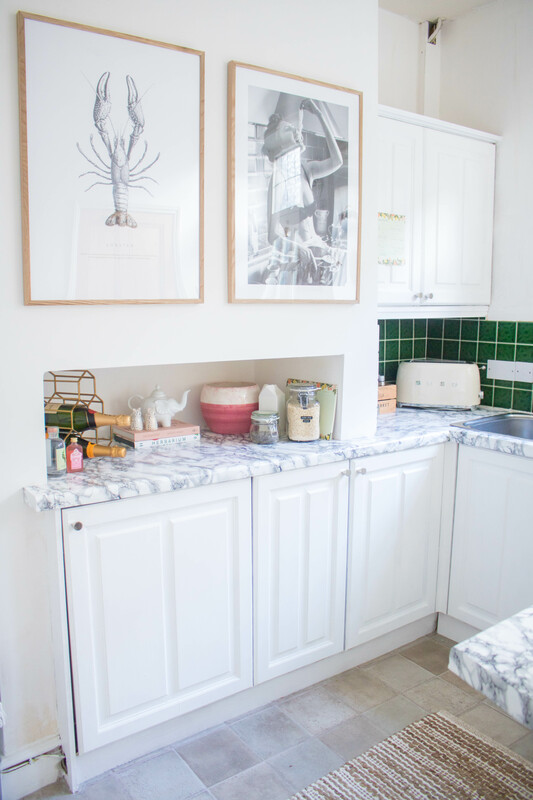 And just this week, I collaborated with Desenio to decorate with my new rental kitchen makeover. I sure do love a stylised photo. Likewise, I love those effortless photographs. The ones where they are clearly staged, but look as if they were captured spontaneously. 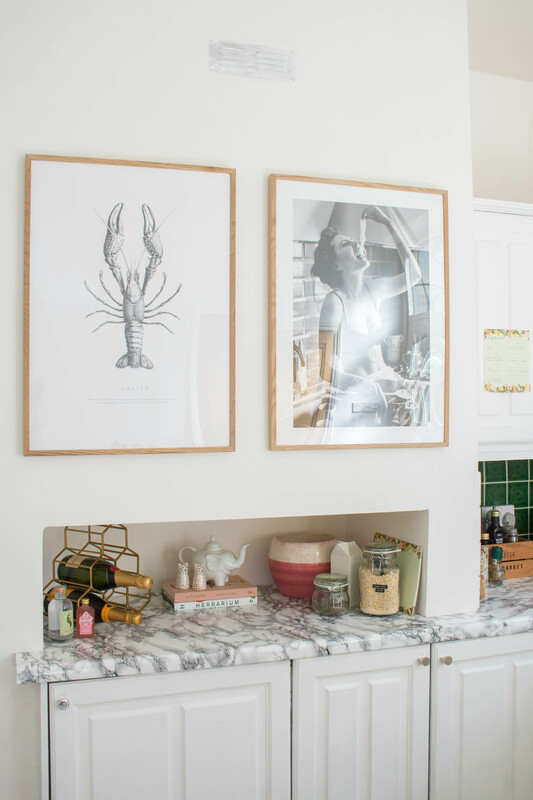 In my new kitchen, I have this lovely black and white print hanging. If only I looked like that when I was eating pasta! These photos are great for conversational rooms. Kitchens, dining rooms and living rooms. In other words, anywhere where your guests are going to come in and notice them. They’ll certainly get the conversation starting. For me, seafood reminds me of being in France, Italy or Spain. It gives me such a good holiday vibe. And who wouldn’t want that feeling in their home? 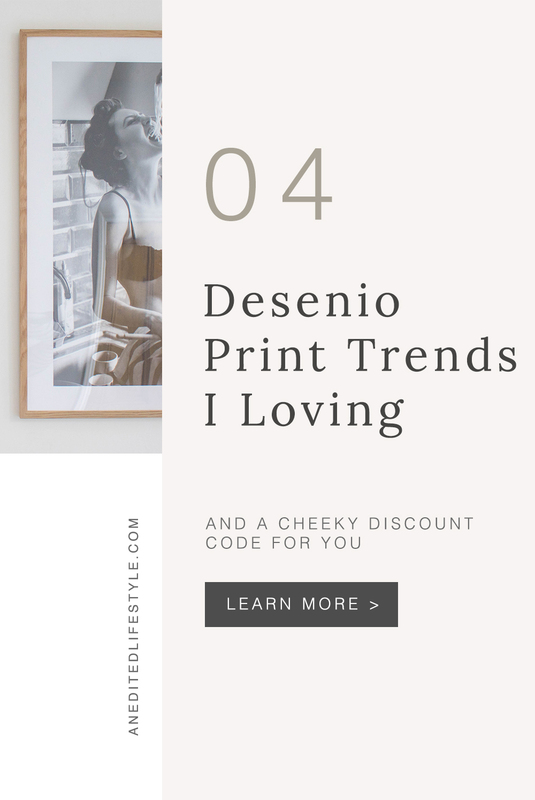 Most importantly, Desenio prints have a great range. Personally, I love them in black and white (for that sleek cool vibe). Mix and match them with some of the wine posters they have. My favourite one is this gorgeous wine guide. 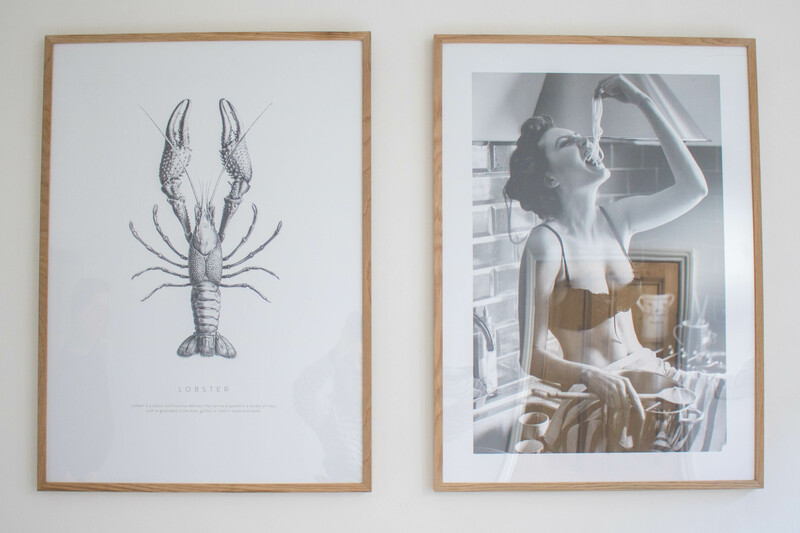 These food prints are perfect in a kitchen or a dining room. 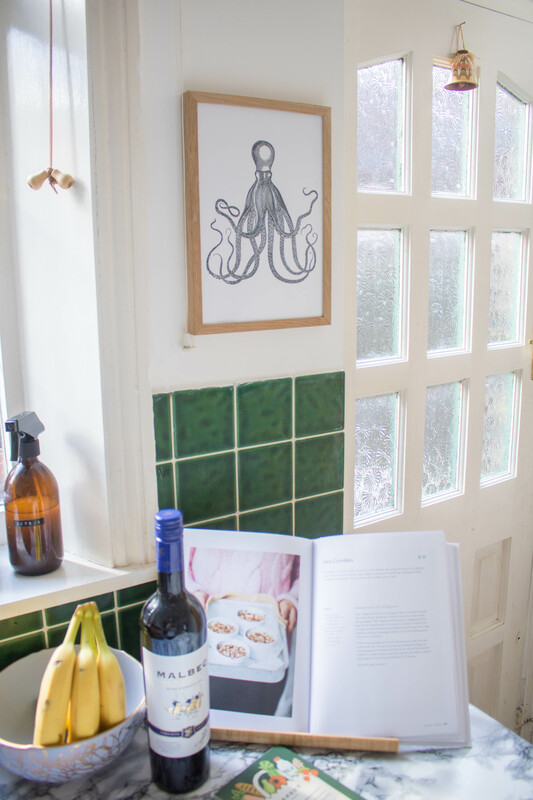 Ideal for inspiration, for your dinner and your next holiday adventure. Perhaps my favourite print trend of 2019. Line drawings and illustrations are everywhere right now! Certainly, figurine drawings are very much everywhere right now. But nature drawings can be equally as gorgeous in your home. This one of poppies would be great in a bathroom, adding some calm and chic to a small room. My figurine Desenio print that hangs in my living room and is certainly a conversation starter! I’ve also picked this gorgeous female line drawing. However, I’ve yet to hang it up. Subsequently, I think that it will end up in our bedroom. It would be perfect behind the chest of drawers with a similar print. Adding a little class to a room that is in serious need of a makeover. 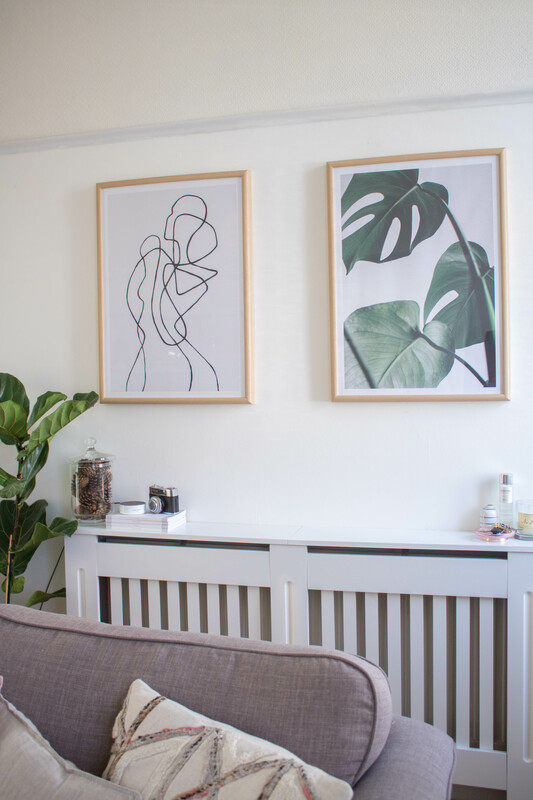 Are you inspired to get some new artwork? Spring is here! Get 30% off posters by using my code “ELLENORSWORLD”. The offer is valid from today until Monday 25th. Follow @Desenio for more inspiration! *Except for frames and handpicked, collaboration and personalized posters. This post was created in collaboration with Desenio. All thoughts and opinions are my own.